App developers prepare multiple language options to populate their products, which also makes your applications contain many large language files that probably you won't use anyway. 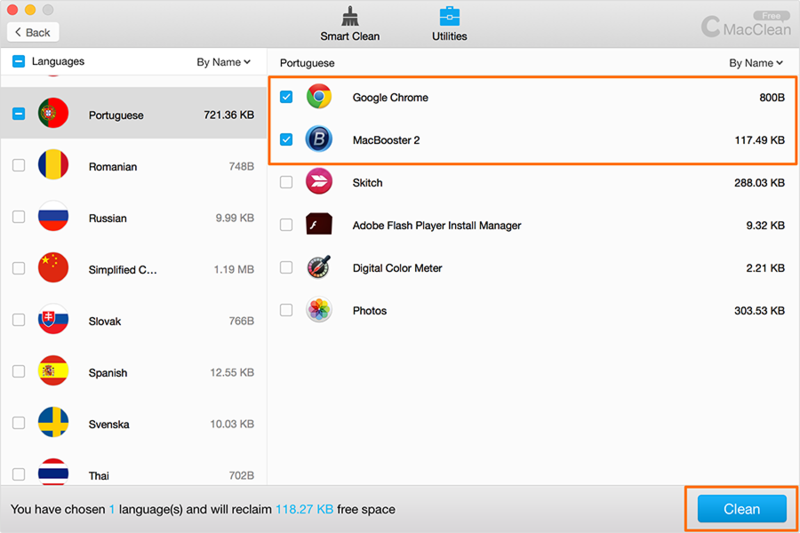 Language File Clean scans your applications for different languages that are wasting your disk space, so you can remove them with few clicks. 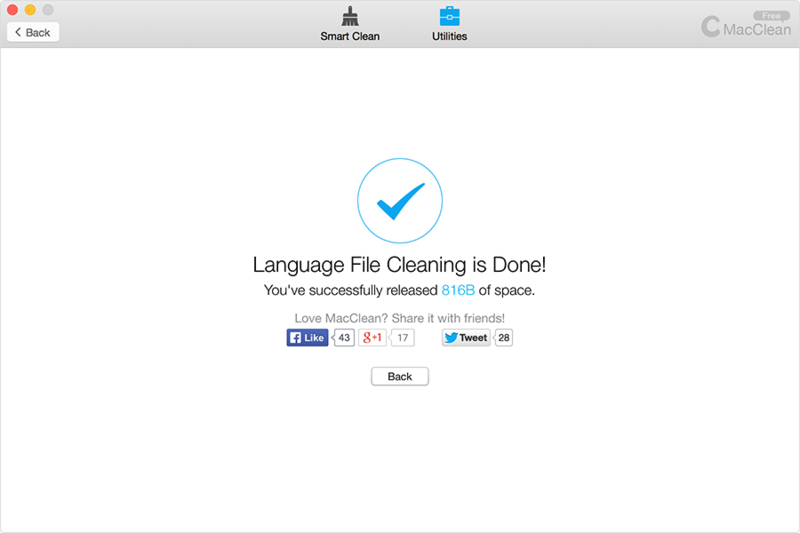 After selection finishes, you can click Clean button to start the cleaning. 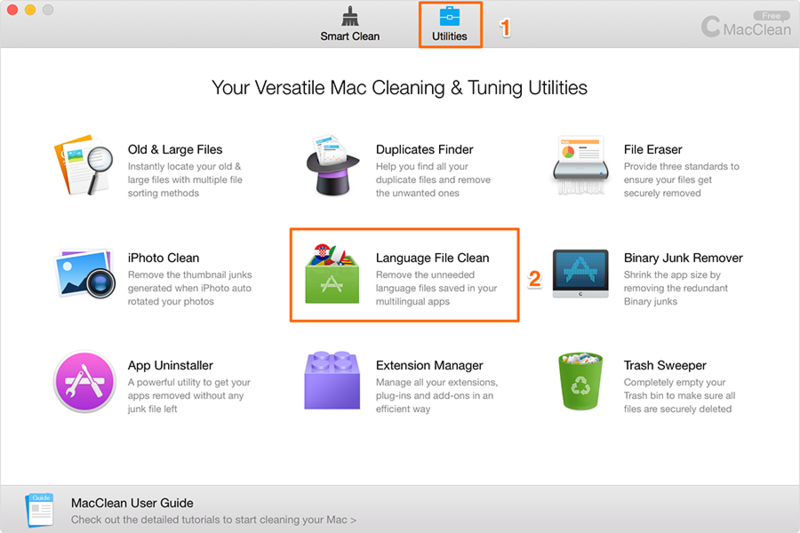 It's safe for your computer system when you delete some language files; the default system language and the international language (English) are protected in MacClean from being erased.